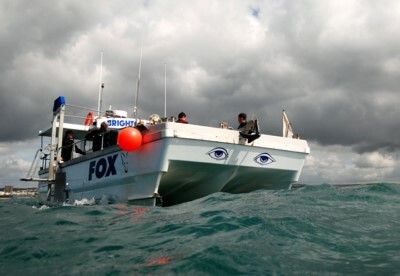 “BDC” means the company Brighton Diver charters. “Customer” means the person, company or organization booking a trip. “Fee” means the cost of the trip as published on the BDC website or otherwise agreed in writing. a. Deposit or Payment as defined in Section 2 below. 1.2 upon receipt of the above BDC will confirm the booking in writing or by email. 1.3 These Terms and Conditions of Booking apply to all bookings confirmed to a Customer by BDC and by entering into a confirmed booking the Customer agrees to be bound by them (unless otherwise agreed in writing). 2.1 A minimum deposit of £150 is required for booking the whole boat. The remainder of the fee is payable on the day in cash unless prior arrangements have been made with BDC. 2.2 Gift vouchers are non-refundable/transferable and must be used within 12 months or the year stated on the voucher. 2.3 For Individuals payment for the entire cost of the trip is payable in advance to secure the booking. Gift vouchers are not refundable and must be used on another date. 3.1 More than 6 weeks before the booked date then the Deposit or Payment is returned. 3.2 Less than 4 weeks before the booked date then the Deposit or Payment is forfeited. 3.3 Less than 2 weeks before the booked date then the full Fee is payable. 3.4 If the Customer requests an early return to harbour then the full Fee is payable. 4.1 Due to bad weather either the previous day or on the morning of the trip, the Customer has the option of the Deposit or Payment being returned in full or moved to another suitable day. Gift vouchers are non refundable and must be used on another date. 4.2 Due to illness, mechanical breakdown or other unforeseen circumstances, the Customer has the option of the Deposit or Payment being returned in full or moved to another suitable date. Gift vouchers are non refundable and must be used on another date. In this case every attempt would be made by BDC to find another suitable boat, if suitable with customer. 5.2 Failure to telephone will be taken as acceptance by the Customer of any decisions made by BDC for the following day. 5.3 BDC decision is final with regard to the weather but we try to get out if possible with due regard to safety and common sense. 6.1 Due to changes in insurance company requirements only a small quantity of low strength alcohol will be allowed on board and always at the discretion of the Skipper. 6.2 Drug abuse or excessive alcohol consumption will cause an immediate return to port. 6.3 Any injury or loss sustained on board must immediately be reported to the Skipper. 6.4 Children under 16 years old are only taken by prior agreement by GEC in writing. 6.5 BDC,s Vessel, Brighton diver 2 is licensed for a maximum of twelve passengers and two crew. 6.6 Any medical conditions that might affect a customer during the trip MUST be reported to the Skipper at the time or booking or before departure. 7.2 identifying the dive marshal and his reserve to the skipper, their ability and good conduct. 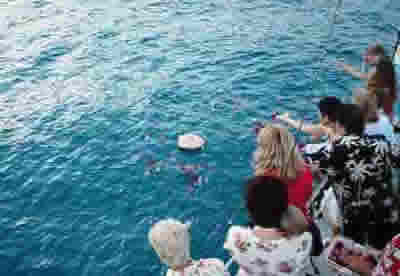 7.4 The supply of; safe working condition of; and suitability of, all diving equipment likely to be needed by the group. 7.11 BDC is not responsible for any equipment left onboard. 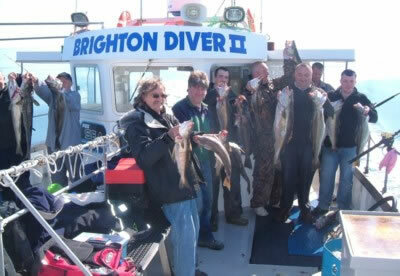 8.5 All charters are based on 14 miles from Brighton marina any extra miles will be added to the charter fee. 9.1 Anything you catch you can keep if above the minimum landing size and not subject to a temporary landing ban. 9.2 It is illegal to sell any fish caught on board. 9.3 BDC’s Vessel and Skipper are licensed to operate as required by the MCA – Maritime and Coastguard Agency. 9.4 BDC maintains £3 million Public Liability Insurance. 9.5 These Terms and Conditions of Booking and all other express and implied terms of the contract shall be governed and construed in accordance with the laws of England and the parties agree to submit to the jurisdiction of the courts of England and Wales. 9.6 Nothing in these Terms and Conditions of Booking shall affect the rights of Consumers. 9.7 All clauses and sub-clauses of this Agreement are severable and if any clause or identifiable part thereof is held to be unenforceable by any court of competent jurisdiction then such enforceability shall not affect the enforceability of the remaining provisions or identifiable parts thereof in these Terms and Conditions of Booking. 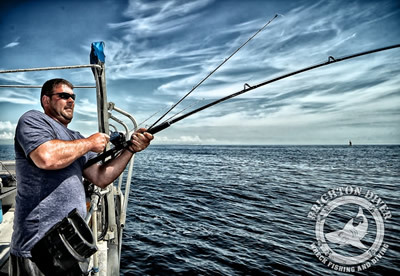 Be it Ground Fishing, Wreck Fishing or fishing for a particular fish such as Cod,Pollack, Mackerel, Conger, Bream, Bass or Plaice Brighton Diver can offer a great days fishing with expert knowledge of the region and the best places to fish. Brighton Marina is well established as one of the largest marinas in Europe, its prime position between Selsey Bill and Beachy Head gives charter boats easy access to the many hundreds of wrecks dotted along the Sussex coastline. 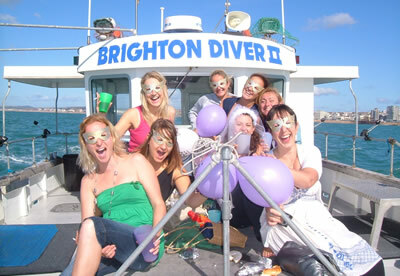 Instead of the normal day of clay shooting or a turn around the local golf course, as your corporate event, and enjoy a day of excitement on Brighton Diver. Many people, either for reasons of their faith or from past association with the sea, wish to have their ashes scattered at sea. A mini cruise on the sea is also ideal for those wishing for an unconventional Hen or Stag night, which is guaranteed to be etched in the minds of your friends and family for years to come! 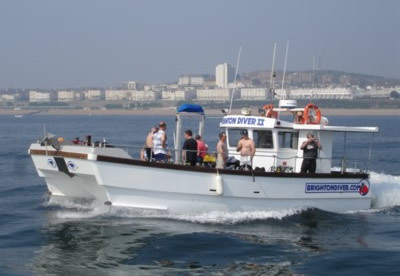 With many fishing trips available , fishing for cod, bream, conger, bass, pollack and plaice. You can now pay for your fishing trip online, using Paypal. 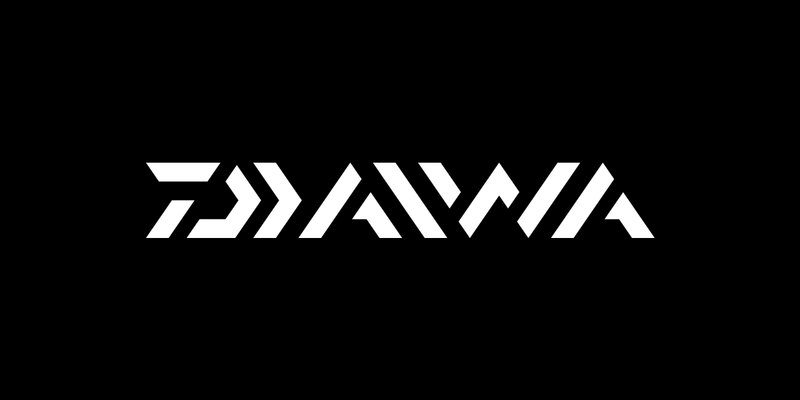 No need for a Paypal account, just use your credit/debit card – or use Paypal if you have it. This is a payment facility and NOT a booking facility. Please do not continue unless you have already confirmed a place or a booking with Brighton Diver, either by phone or email.